7. Then what (or who) causes You (O disbelievers) to deny the Recompense (i.e. Day of Resurrection)? In this context, ad Din means the Recompense or The Day of Resurrection. This will be the day of recompense for every little thing that you did, good or bad. After Allah tells us that He created us with the best of stature, He tells us that some of us will not value that we are better off than many of Allah’s creation. Many of use used our faculties for haram and thus will be brought to the lowest of the low which is the jahannam. Upon realization that we are better off than other creations, we should realize that surely we have ah higher purpose than the rest of the creation. Or life purpose shold not be merely waking up from sleep, eat, find wealth, have family and children. These are the same as to animals. They too sleep, eat, find food (which is their wealth), procreate and have children to ensure the continuity of the species. Those who reject the truth, will always deny that will be the day that all that we do now will be rewarded or punished accordingly. Thus Allah asks the disbelievers, after knowing, why do the believers still deny the truth? 8. is not Allâh the best of judges? This verse is a question that Allah asks to those who denies the Day Of Recompense. How can they deny that Allah is indeed the best of judges. Allah begins the surah by mentioning the Legacies of the Great Messengers’ (‘Uluw al ‘azam – the most perseverant from all the Messengers’) with the best characteristics from humanity. The Messengers’ mentioned in the beginning of the surah are the best examples for humanity, and Allah taught them wisdom and judgment as examples for humanity. Then Allah discusses in the centre of the surah that He has made insan (man/humans) in the best perfect form. Then the worst of the worst are mentioned (ayah 5) – those who rejected the best of the Messengers. Then those who followed the best Messengers’ are described after that (ayah 6) – those who believe and do good deeds. Then finally; now that you have understood this basic message – what is preventing you from following the guidance? (ayah 7) Isn’t Allah the Best of Judges / Wise Ones to give the commands – which you should be following? (ayah 8). We are more than just animals. We don’t just want to fill our bellies and desires. We want to purify ourselves on the inside and the outside. This surah is based on balance. We need to realise that Allah has chosen us above animals by giving us an intellect (‘aql), and through that we understand we have higher morality. Once we understand this – we need to believe internally, and show that good through our actions by following the best Messengers’ [the ‘Uluw al ‘Azam]. If we don’t, Allah will reject us, and make us the lowest of the low. As you have read, in the previous three ayahs, Allah made an oath. When Allah gives an Oath, He is going to give a response (jawab) as to what is related to the Oath. In these coming ayah, you can see what is the respond given by Allah after he made the oath. In Ayah 4, Allah has declared that He has created the humankind to have the best stature. Mankind is created with the complete perfection, beautiful shape, right proportion and upright stature. Not only that, humankind is given aql to differentiate the good and evil, and use his intellect to progress. Some scholars has translated this to mean, that mankind will make themselves go slide into the lowest part of hell despite being given the best of stature, they have disobeyed Allah and the prophet sallallahu alaihi wasalam. Indeed they are the people who are at loss in this world as what Allah ahs mentioned in surah al Asr. 1. by Al-‘Asr (the time). May Allah protect us from being among these people. Brainstorm how can one get themselves to be at loss in this dunya. Are we using all these faculties to please Allah? 6. save those who believe (in Islâmic Monotheism) and do righteous deeds, Then they shall have a reward without end (Paradise). Allah says many times in the Quran this phrase – Those who believe and do righteous deed. Eemaan is something internal, in the heart. Only Allah knows the level of your eemaan. Righteous deeds, even though one does not announce the deeds they have done, but it is manifested in their actions, what they wear, things they like to do. One cannot claim to have eemaan but yet do not obey Allah externally. These two must come together. And surely those who you can see be doing good deeds but do not have believe in the heart is considered a munafiq. In this ayat, only those with eemaan AND doing righteous deeds will receive ajr (reward). Reward that will never end. Subhanallah! Imagine living in bliss of which there is no end. Human craves to live forever and that is why they search for the fountain of youth, they fantasise of living forever (but yet remain young). This cannot be achieved in this world. Even if one can live for a long time, life has so much test and pain and our aging body will only leave us uncomfortable to live forever. But this is not the case in jannah. Everything good you can think of, it will only better there. We ask Allah that he place us in the highest jannah. Allah begins this surah with an oath. The letter  is is called wau al Qassim meaning the wau for making an oath. As we have learned previously, when Allah makes an oath on one of His creations, it shows the importance of that creation and also what follows after the oath. Can you name where did Allah make oaths in other surah? Let’s look at what Allah swears on in this surah. Thia is zaitun or in english is called olive. You usually find it on pizza and salad. This is Mount Sinai, a very historical location to the three religions which are Judaism, Christian and Islam. It is located in the Peninsula Sinai, in between Egypt and occupied Philistine. Baladil Amin. A city of security. Some of the scholars have interpreted that all these are pointing out to places. Important places, which Allah has spread the religion from or rather where Allah has brought His Messengers to. Tin and zaitun are among the trees that are widely grown in the Shams area. 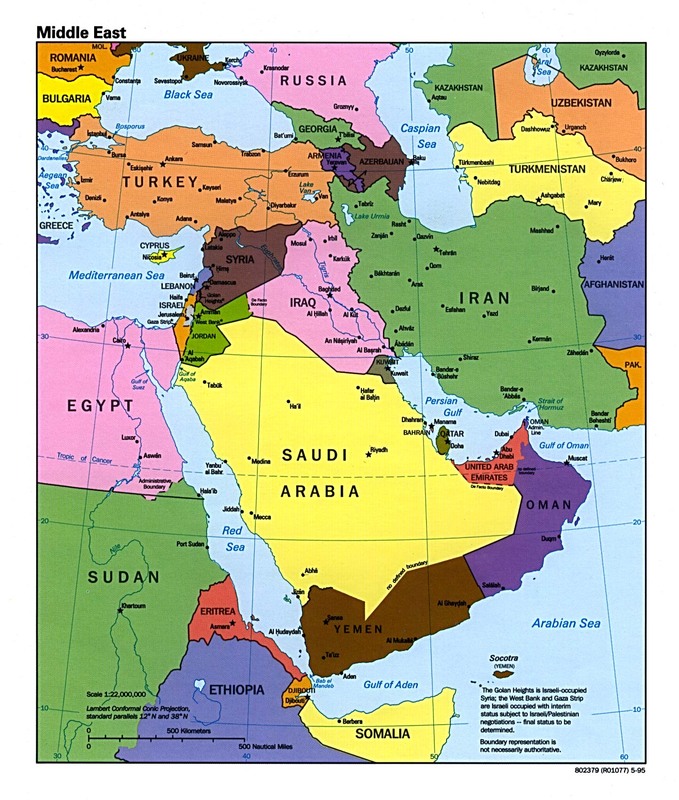 Shams areas consist of Syria, Lebanon, Jordan and Philistine. Some of the scholars say this really refer to Jurusalem in Philistine where Prophet Isa alaihi salam was sent to. Can you circle Jurusaem in the map above? 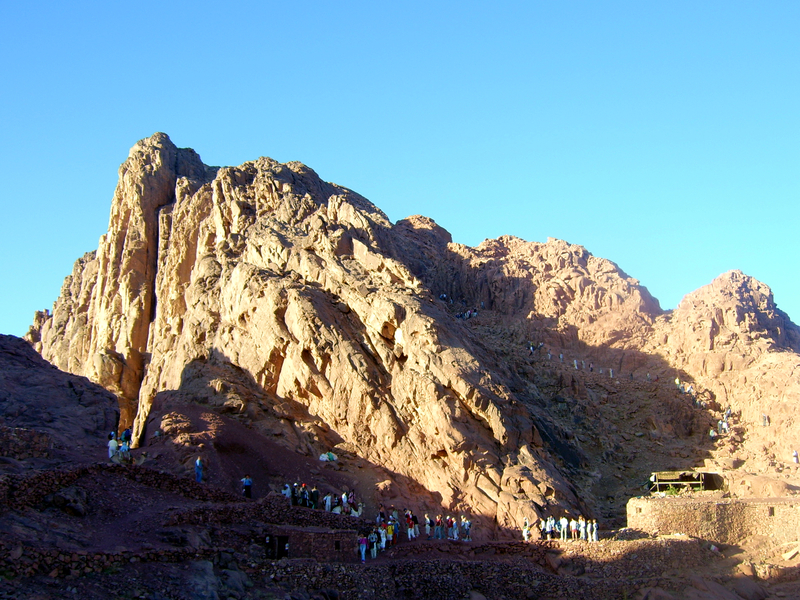 Mount Sinai is the mountain where Allah talks directly to prophet Musa alaihi salam. Can you circle Mount Sinai in the map? Many scholars also have described this as Makkah itself for it was the safest place to be and it is the city of security where whoever enters is safe. It is also the city in which Prophet Muhammad sallallahu alaihi wasalam received his revelation. Can you circle Makkah in the map? Some of the Imams have said that these are three different places, and that Allah sent a Messenger to each of them from the Leading Messengers, who delivered the Great Codes of Law. This is why He swore by a noble place, then by a nobler place, and then by a place that is the nobler than both of them. Anger is a natural human reaction when being faced with something that one dislikes. One cannot prevent its occurrence, especially if injustice is upon him, but one can train and must train oneself to react as how Allah is please. This suggest that shaytan continually strives to anger people and justify their anger so that they will lose balance, speak sinfully, commit crime, preserve hatred and resentment in their heart, causing them to behave in ways that will insure his companionship in Hell. I have looked up for anger management for teenagers around the internet. Here are a bit of summary. i. Knowing what trigger your anger. Identifying it and find ways to prevent it in the future. ii. Knowing the consequences of anger. How much damage itwill do to you and others too. Choose solution that will have no damage. iii. Keep calm and step away for a while. iv. Talk to someone with an open mind. v. Feeling angry is not a bad thing but acting it out uncontrollably is. iv. Talk to people who are wise and exchange opinion on matters. Their insights may be invaluable. More often than not, you will come to realize some of the youth anger can be channeled positively. i. A person should learn how to change his character and adapt the characteristics of generosity, kindness, calmness, modesty, patience and forgiving. If a person adapts these qualities, then he may be able to restrain himself when he is about to get angry. ii. One should not act based on anger or while being angry. iii. When a person is about to get angry, he should control himself, be patient and not get angry. This is a contemporary view from Sheikh Al-Bitar. iv. Ustaz Jamaluddin Zarabozo says that the text can be interpreted in the following way: a Muslim must think before acting or speaking. As soon as the feeling of anger appears to oneself, then there is a need to think of why the anger appears and whether it is necessary to be angry. While asking these questions, the person must remember Allah and the Hereafter (Akhirah). This will cause the person to calm down and not get angry. Most importantly let us look at how Prophet Muhammad sallallahu alaihi wasalam tells us to deal with anger. Remember we said that anger is from shaytan thus our utmost interest is to avoid the trap of shaytan as much as we can. AbuWa’il al-Qass said: We entered upon Urwah ibn Muhammad ibn as-Sa’di. A man spoke to him and made him angry. So he stood and performed ablution; he then returned and performed ablution, and said: My father told me on the authority of my grandfather Atiyyah who reported the Apostle of Allah (peace be upon him) as saying: Anger comes from the devil, the devil was created of fire, and fire is extinguished only with water; so when one of you becomes angry, he should perform ablution. Narrated Sulaiman bin Sarad, r.a. The Apostle of Allah (peace be upon him) said to us: When one of you becomes angry while standing, he should sit down. If the anger leaves him, well and good; otherwise he should lie down. Scholars commented that the one who is standing is in a position to take revenge, while one sitting is less prepared for that, amd one stretched out on the ground is in the state of least readiness. Thus the Prophet sallallahu alaihi wasalam intended to distance the angry person from confrontation until his anger has subsided. This is an important advice because during anger, most of our actions and speech may not be correct. This hadith is related to the previous hadith (Hadith 15) – it sets out to avoid the judge from making unjust judgement. 133. and march forth In the Way (which leads to) Forgiveness from Your Lord, and for Paradise as wide as are the heavens and the earth, prepared for Al-Muttaqûn (the pious – see V.2:2). 134. those who spend [in Allâh’s Cause – deeds of charity, alms, etc.] In prosperity and In adversity, who repress anger, and who Pardon men; Verily, Allâh loves Al-Muhsinûn (the good­doers). Perhaps this hadith will help us strengthen our self control when we are confronted with anger. Prophet Muhammad sallallahu alaihi wasalam example was reported by many of his companions. He, who was sent to mankind to teach them good moral conduct, learned to control his anger toward the Unbelievers and teach them appropriate expressions. He used to speak against being angry. The Prophet (s), the best example for all mankind, would never get angry or take revenge for his own personal interest. His (s) anger was reserved for the sake of Allah (swt). We think that we have it tough, when one of his days was probably tougher than the whole of our lifetimes! When we look at his life, our own difficulties seem so pathetic in comparison. Imagine spending 13 years completely devoting his life spreading the word of Islam and suffering hardship. This was a man who had the burden of the whole of mankind’s future on his shoulder. Yet he had the tolerance and self-discipline to be able to forgive those around him who were themselves so ignorant. This was the example of the Prophet, even though he felt bitterness and was very angry with them, he had the discipline and control to not let his emotions control his actions and he forgave them realizing that they were merely misguided. Not all anger is sinful. Anger that inspires a person to avenge his own personal feelings is indeed blameworthy. However, anger can also be felt for the sake of Allah and for His religion. This is the anger that a Muslim should feel when his religion is attacked, his beliefs blasphemed, and the honor and lives of the people are transgressed against. However, this anger, if it is truly and sincerely for Allah’s sake, will only inspire us to noble deeds and to personal sacrifice, and never to base, unjust, or ignoble actions. Anger is a normal reaction that everyone has. However some have better control and self restraint over another. There are too many negative consequences among them damaged relationship, hatred, fuelling more anger. To top it will affect the health such increase in blood pressure. There are several tips to manage anger as narrated by Prophet sallallahu alaihi wasalam that we can follow Insya Allah. Not being angry is not a sign of weakness, in fact as what Prophet Muhammad sallalhu alaihi salam, the strong ones are those who can control their anger.